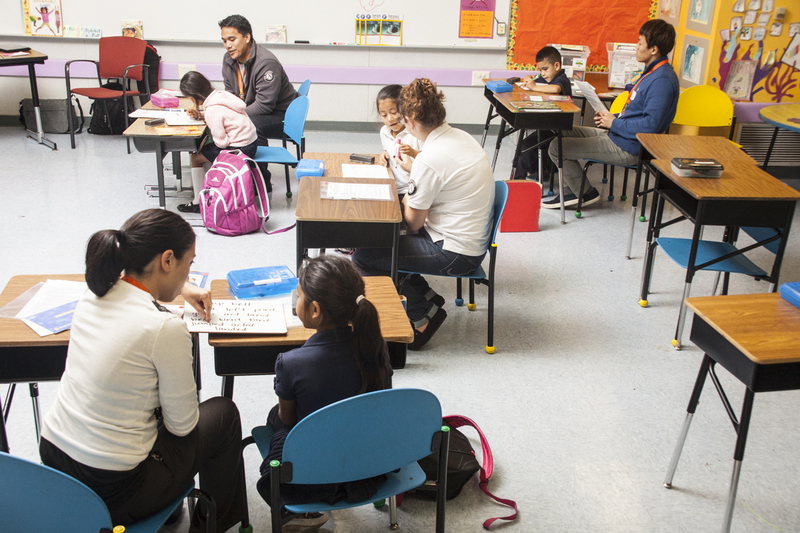 Reading Partners is a national nonprofit organization that partners with under-resourced schools to work with students who are 6 months or more behind grade level in reading. I started working with Reading Partners 3 months ago at PS 305 at 344 Monroe St, Brooklyn in Bedford Stuyvesant with a first grade girl named Angelique. When I began lessons with her she was a beginner reader, she barely new the sounds every letter of the alphabet made and after just a few one-on-one lessons for an hour she was fluently reading beginner books making it obvious to me that she was a very bright and capable student who just needed some attention that it was impossible for her to get in her class of 30. For so many of the students in this school, who are repeating grades for the 3rd time or way behind in their reading level, it isn’t because they aren’t bright, it is because their schools are under-funded and can’t provide the services and programs to support individualized instruction. Their classes are overcrowded making it impossible for teachers to provide each student with the personalized attention they may need. Public schools get funding from the city and the city takes those funds from property taxes, thus schools in poor neighborhoods are at quite a disadvantage even though those are the schools that should be getting more resources to combat the disadvantage they’re already at the students coming from lower income families. This experience has left me with a lot of questions. I want to learn more about educational equity. Working with Reading Partners was an invaluable experience because reading is the basis of all learning and learning is the key to success in future endeavors. I enjoyed working with Angelique and watching her go from being a beginner reader to successfully reading small chapter books and sounding out larger words with no problem. I was surprised that within just a month and a 1/2 we were able to see huge gains in her reading level. This was such a rewarding and amazing experience. Reading Partners is an awesome organization and I encourage everyone to check it out and get involved.